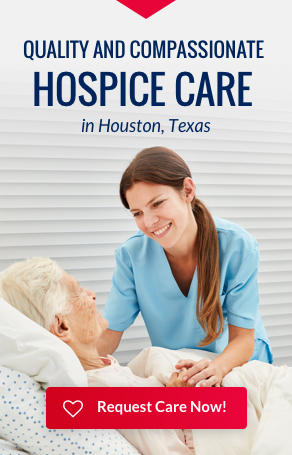 The social worker is an integral member of Accredited Hospices of America team. As trained professionals, our first family upon entering the hospice program. Going forward we represent the individual/family’s wishes at every hospice team meeting. At the initial evaluation out goal is to identify where each of our patients and their families are emotionally. Using this as a starting point, we then join them on their journey and continue along at their pace. This is an amazing privilege that none of us take lightly. It is not our job as hospice social worker to impose any particular agenda. We are there to support the patient and their family’s wishes, and address their concerns be it financial, emotional or ethical, I like to describe it as being in the passenger seat,, and holding up the map for them. One of many roles of the social works is to “paint the landscape” of the patient and their family for the other hospice team members. I begin this process by asking each of the family members “Who is your Mom?” or “Who is your Dad?” This really helps open up the family members because every one has a story, whether it’s an example of their loved one overcoming adversity or a wonderful personality trait. Additionally, it’s our responsibility to be aware of and sensitive to any social, cultural or religious ideals regarding the end of life process that is specific to each patient. We help them realize that they need the first take care of themselves so that they can be healthy, strong and able to then care for their loved one. Creating a safe place for the patient and their family to talk about death is vital to the hospice journey. It is the social worker’s job to create a “safe container” for this discussion. Foremost we are there to help support the patient and family in the areas of emotional care. For those patients or family members experiencing tremendous emotional grief, we may act as a grief counselor or hospice therapist. In some cases where there is a need for additional psychological counseling, we will put the patient or family member in touch with a licensed therapist specializing in this area. Understanding the family dynamics surrounding the patient is an important role of the social worker. Oftentimes family members may disagree on the end of life decisions of their loved one. In these cases, we can help educate family members regarding any misconceptions or dilemmas they may be facing during this stressful time. Many times it is just the presence of the social worker that offers a sense of support to the patient and family,because they know we are there to help. If you have a loved one under hospice care this season, helping them celebrate their “last” holiday can be even more memorable if you choose to make it so.